After taking last Saturday off to share my 12 Ways To Use Leftovers post, I’m back today with a week of slow cooker meals to inspire for you! Like I mentioned previously, this isn’t a meal plan that I’m following, nor does it need to be followed exactly. It’s just meant to give you some ideas for meals you could add to your menu for next week! 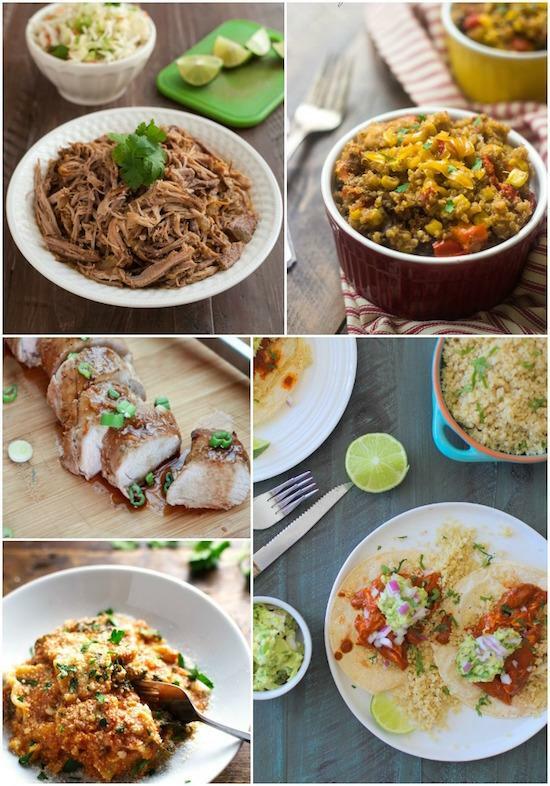 This week I’m sharing 15 recipes that can all be made in the crockpot! Be sure to pin this post so you can refer back to it later! Hopefully you can find an idea or two that appeals to you! Top with this slow cooker granola, your fav cereal, some nuts and some fresh fruit! Mind-blowing, right?! Baking in a crockpot! Don’t like cherries? Sub your favorite fruit! Make a batch over the weekend and eat for lunch all week. Serve them in leafy wraps or flour wraps! Make an easy sandwich or serve with crackers! Serve them over spaghetti or make meatball subs! Skip the taco seasoning and add some hot sauce for a spicy twist! Use for burritos, salads, tacos and more! Slice up the leftovers and make a stir-fry the next night! A fun twist on traditional tacos. Keep it veggie or add meat if you want! 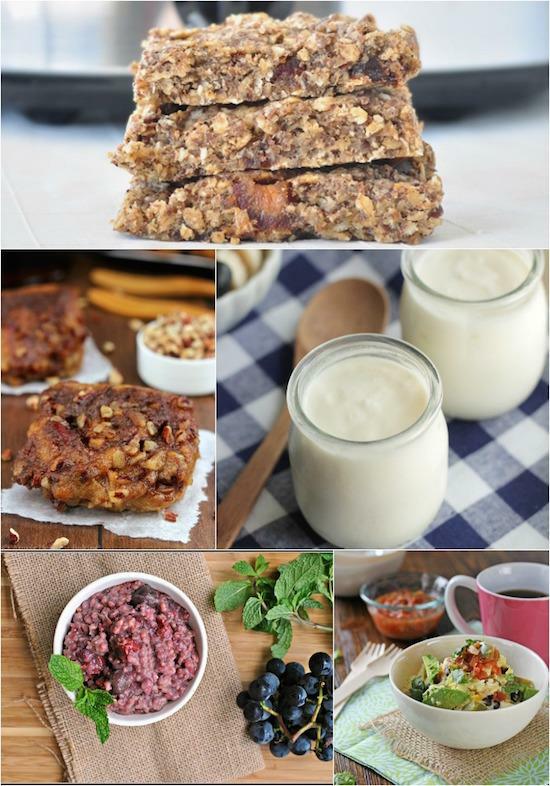 Be sure to check out the previous meal plan posts for more inspiration! Get inspired! 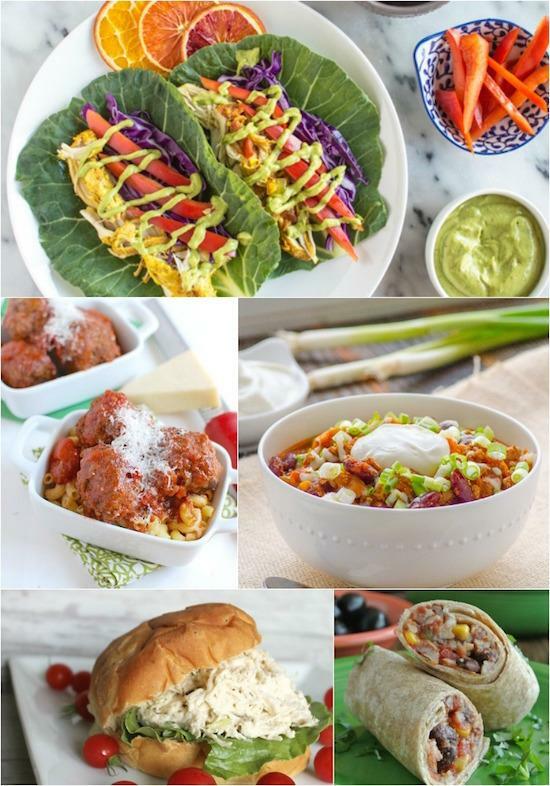 A week’s worth of crockpot recipes from @leangrnbeanblog! those black bean burritos look delicious. Thanks so much for including my crockpot Mexican Quinoa! Now I need to make ALL of these! Pinned! Thanks for including my pecan buns! You found some incredible recipes, and… Now I’m hungry. 😉 Pinned! I love the idea of the lettuce wraps. Those look so good and I will probably try making those! I love this Lindsay! The crockpot is my favorite kitchen appliances- my family would starve without it! I definitely can always use more slow cooker recipes. Mine has been sitting on the shelf since I moved and I need to make some more!! OH the granola bars BLEW MY MIND TOO. Wait? Granola bars in the crockpot? Must try! I am prepping for a busy week ahead and these meals are going to make my planning so much easier! Thanks so much. Great blog. Hi Lindsay, First of all, congratualtions on getting asked to speak at the 2015 blog brulee! As an BB alumni, I can say You are a perfect fit and will have an amazing time!!! Love all of the recipes above because a slow cooker is like a breathe of fresh air! I too am intrigued by the granola and granola bars, esp. since I am on a granola kick! Umm I feel like I need to try slow cooker granola ASAP! I’m almost out of Purely Elizabeth and need to make my own!! Love this! Oh my gosh! I was JUST looking for new slow cooker meals 🙂 Pinned for later! I’ve had a slow cooker for a little over a year…I can’t believe I existed for so many years without one!! crazy right?! it’s such a lifesaver! This all looks fantastic! I love my Crock Pot. Thanks for posting–can’t wait to try some of these! [WORDPRESS HASHCASH] The comment’s server IP (142.4.4.118) doesn’t match the comment’s URL host IP (104.28.11.25) and so is spam.